One Eternal Day: "The sacrifice of the ideal to the nonideal"
.... Rand's novels are vehicles for a system of thought known as Objectivism. Rand developed this philosophy at the length of Tolstoy, with the intellectual pretensions of Hegel, but it can be summarized on a napkin. Reason is everything. Religion is a fraud. Selfishness is a virtue. Altruism is a crime against human excellence. Self-sacrifice is weakness. Weakness is contemptible. 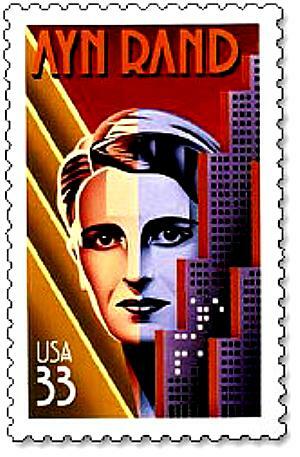 "The Objectivist ethics, in essence," said Rand, "hold that man exists for his own sake, that the pursuit of his own happiness is his highest moral purpose, that he must not sacrifice himself to others, nor sacrifice others to himself." Conservatives have been generally suspicious of all ideologies, preferring long practice and moral tradition to utopian schemes of left or right. And Rand is nothing if not utopian. In Atlas Shrugged, she refers to her libertarian valley of the blessed as Atlantis.